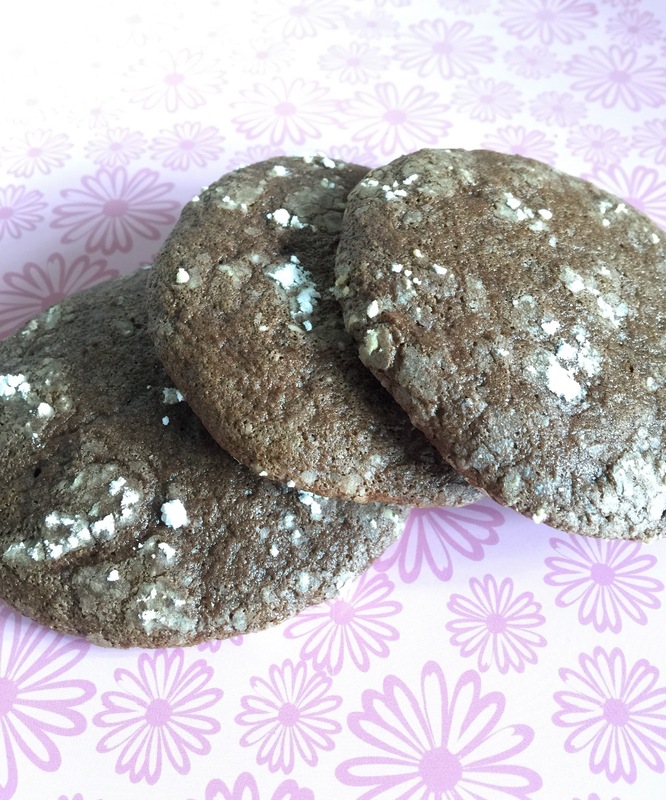 Weight Watcher/Low Calorie – Cool Whip Cookies | ...and another cup of coffee. I look at the upcoming week on the calendar and stare blankly, always thinking “I need to try to make some new stuff”. April was, and still is, such a busy month for my family and I haven’t been the greatest, so motivation has been semi-low. I have been looking everywhere for some inspiration for great new low calorie and weight watcher friendly ideas, I don’t mind tweaking a recipe to make it fit better for me and my family. Combine cake mix, Cool Whip and eggs in bowl and mix until well combined. Place in refrigerator and chill for at least one hour. Drop by using small cookie scoop into powdered sugar and roll to coat. Place on greased cookie sheet. Bake for about 12-14 minutes. Man!!! These look and sound awesome! Hard to find lower calorie chocolate cookie goodness!!!! Going to make these soon! Just made these. Texture is hard to “roll” in powdered sugar but they are very good!!! But so glad you like them! what is the serving size to get the 1 WW point? Above it states 3-4 points per cookie. Dough was very sticky – I only rolled 3 in the sugar. The dough looked a lot like a cookie recipe that my mother use to make. After trying one from the first batch it tasted much like hers….only much easier to make. Her recipe required buttermilk which I never have and have to make my own sour milk using milk and lemon juice. Her recipe didn’t use the powdered sugar – just dropped dough. Will make these again and may try different cake mixes, i.e. spice, lemon, etc. I made them with red velvet cake mix I also added 1/2 tsp of almond flavoring, was really good. Next time I might increase flavoring to 1 tsp. Cool whip is like a whipped cream in a small tub. I’ve heard Dream Whip is similar to cool whip.It’s a dried powder – found with the jelly. You just mix it with milk (or a milk substitute). I’m a little confused… When you say, “Drop by using small cookie scoop into powdered sugar and roll to coat” are you dropping the cookie scoop into the powdered sugar and then scooping up the batter? Could someone please clarify. Thank you! I make something much like this, but instead of the cool whip I use 1/3 c. olive oil, and I omit the powdered sugar. I’ve used all flavors of cake mix. Loved by all. They are a regular in my house hold. I will try with the cool whip. Thanks for sharing. Maybe I’ll give your version a try. Do you know how many smart points this would be? I got 2 smart points. What am I doing wrong when making try recipe? Very excited about trying these but I am calculating 4 sp per cookie. 86 for the cake mix, 4 for the eggs, 31 for the cool whip, and 14 for the powdered sugar. Totaling 135 sp. divided by 36, that gives you 4 sp per cookie according to recipe builder. Please tell me if I am wrong because I really want to make these. And if you don’t use the powdered sugar it comes to 3 smart points. Would these taste bland without the powdered sugar? No they don’t. I made them that way because I did not have powdered sugar. I did the new smart points conversion and came up with 1 point each, considering that the batch made 36 cookies. I put all of the ingredients into my fitness pal app and it came out to 73 calories each if I get 36 cookies out of it. They are in the fridge right now. Could you use egg whites instead of the whole egg? Sometimes the calories can vary with the brand and flavor of cake mix. I was wondering how to add these to my app for weight watchers. Do you have the fat, sat. Fat and all that stuff? I made these today but can’t find them in the database. They are fabulous by the way! Only 1 pt on the brand new points system? 1/16? Yes, but can vary depending on type of cake mix and how big you make the cookies. Try. Using lemon cake mix–yummy! I wonder how it would taste with a sugar free cake mix? That would drop the smart points even lower. How many calories are in these cookies? When I made this recipe on ww app I got 2 pts? I am a “calorie counter”, any idea how many calories are in 1 cookie? BTW, I did not roll in sugar. They are good, hubby and son like them! I’d use sugar free cake mix and egg beaters! Less calories! How many cookie are 1wwp? Each tube in the picture is 8 oz. So you could use one 16 oz or 2 8 oz like shown. You deserve an award for this recipe! I just made them and love them! Tasty and fluffy! I didn’t think it was hard to roll at all! I used light whipped cream instead of fat free. I calculated 102SP for the whole thing and got 48 cookies which is a little over 2SP each so I guess you would count it as 3SP each. I can’t wait to make it with other cake mix flavors! 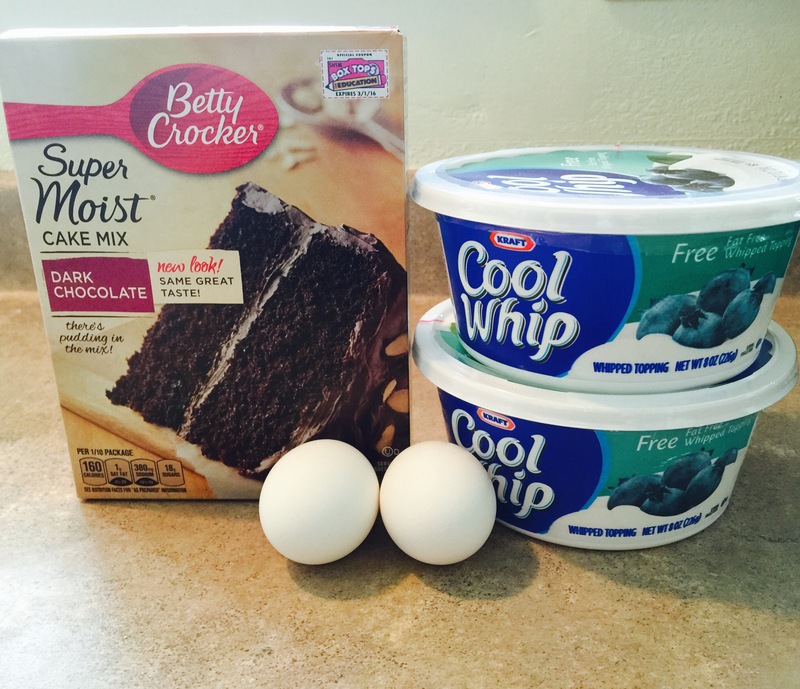 I used Betty Crocker super moist chocolate fudge cake mix. Thank you so much for sharing! Sugar free cake mix would lower the point value as well! What happens if you do not have an hour to chill? And can you use pepermint sugar to roll them in for a valentine theme? You can try rolling them in sugar/sprinkles and see what happens. I myself have not tried that. I’d like to try these with the SF cake mix Pillsbury has… eggs are zero now, too… I wonder if they might be 1 sp with these changes? I just made these minus powdered sugar. I got 72 with my small scoop. For 1 points each! So good! I dropped them into the powdered sugar with the teaspoon , much easier. Does anyone how many calories in each cookie not points?